Wedgeleaf Fogruit grows on moist sites on the plains. 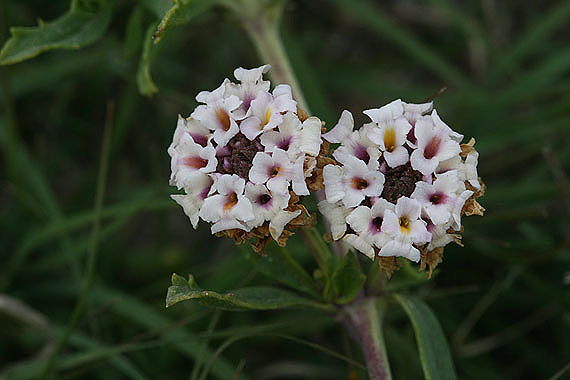 The white flowers have centers with a variety of colors on a single inflorescence. Flowers turn pink as they age. Leaves are opposite and have a few coarse teeth. The plant often has a sprawling growth habit with roots growing from stem nodes.